The window for 2019/20 Sixth Form applications will open on Monday 5th November. The deadline for 2019/20 Sixth Form applications is Friday 1st March 2019, we will consider late applications although students may not get their main subject choices. If you wish to join The Polesworth School Sixth Form @ Tomlinson Hall, then please read through all our course information and entry requirements very carefully. Attend our Sixth Form Open Evening, which this year is being held on Thursday 17th January 2019, 6.00pm – 8.30pm, contact the Head of Sixth Form or Key Stage 5 Student Support Managers to discuss your application. You should also discuss your course choices with your teachers, your parents/carers and careers staff at your school. To apply applicants should click here to complete our online application form. Please note that this form must be completed in one go so please allow sufficient time to complete it. Please also ensure that you have your UPN number to hand prior to starting your application (this can be obtained from your school). Please give as much information in your personal statement as you can about yourself, your strengths, interests and career aspirations to help us assess your suitability for your chosen courses. Your predicted grades at GCSE are also very important. All students who apply to us are interviewed and interviews take place during the Spring Term. This gives us the chance to discuss your application with you, talk about your proposed programme of study and gives you the opportunity to ask questions. Some students may change their minds about their subject choices following interview and this is usually not a problem. Following your interview, you will usually be given the offer of a place for September on condition that you meet the course entry requirements and attendance criteria, this will be confirmed to you in writing. We will then ask you to accept or decline your offer of a place in the Summer Term. 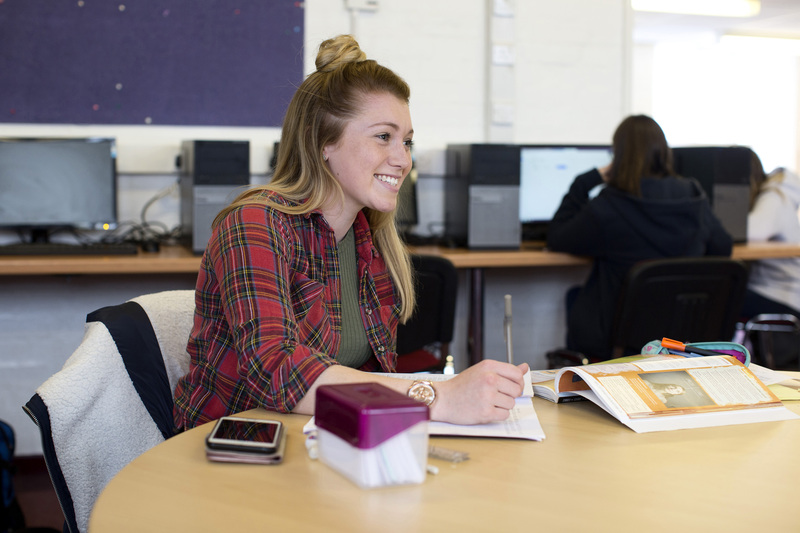 If you decide to take up our offer of a place and achieve our entry requirements, then we formally register students for their courses on GCSE results day in August or on the first day of term in September.